Crete is one of the prettiest islands in Greece because of its natural beauty and its tourist friendly features. Travelling to Crete is becoming the in thing for most tourists and thus tourism is receiving a big boom here. The usual sights that astonish tourists when they first reach Crete are the beautiful beaches that adorn the island as well as the mysterious caves and the most popular villages with their traditional Crete cuisine. These are the places that are also usually taken around by tourist groups. However, if you plan on truly memorable trip to Crete and that means thoroughly enjoying it rather than the conventional way that most tourist groups do, then you will have to rent a car in Crete and travel around the island looking out for some of the most extraordinary sights and other cultural things to see on Crete which usually tourists give a miss. Not only is the great Mediterranean whether as well as all those sandy beaches that welcome you reason enough for your travel Crete but instead you should also know that Crete is one of the oldest Greek islands and holds a lot of historical and classical significance. There are such magnificent archeological ruins as well as maintained world class museums that if even if you are not a historian these are some of the places that you must visit to enrich yourself about the classical history of the island. You will find a series of these museums and other such archeologically important spots northeast and south sides of the island. These again are usually the spots that are missed by the tourists. 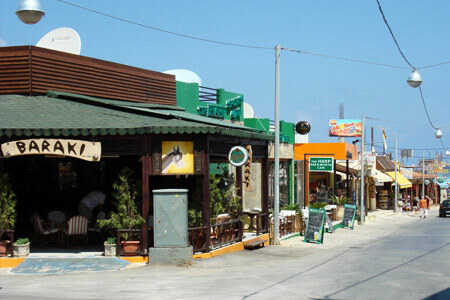 But if you rent a car in Crete with Rental-Center-Crete.com then it would not be difficult for you to travel to such places on your own as long as you have the directions which are not hard to get. Another place that you must visit is the prehistoric city of Gortys which was incidentally the first city to accept Christianity. The history of this ancient city that is now in ruins after the invasion of the Arabs dated back to the Minoan periods in history. A lot of culture and the present day Greece can be dated back to the influences of this city, which used to be the largest city on Crete. So even if you have had enough of discovering the hidden historical treasures of Crete you can even look around for some charming mountain villages. These are also scattered all over the island and except a popular few most of these are relatively isolated of tourist crowds so you can spend a lovely morning sipping coffee in a roadside cafeterias of a quiet little village amongst the mountains. The best advice therefore that can be given is to explore Crete on your own, rent yourself a car for the duration of the stay and discover of the wonders of the island on your own and it would be the most rewarding experience.